To add images to an existing folder, click on the collection, and then the folder you would like to add images to. 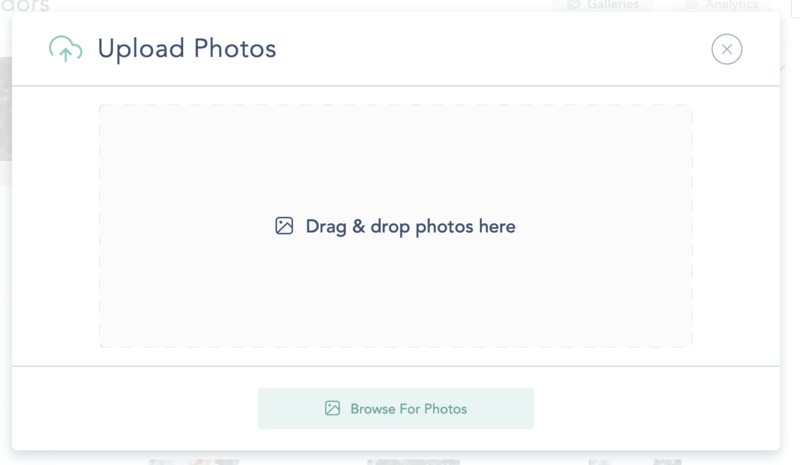 Next, click on “Upload photos” at the top right of your Dashboard. You will see a window pop up prompting you to drag/drop new images or Browse for Images.